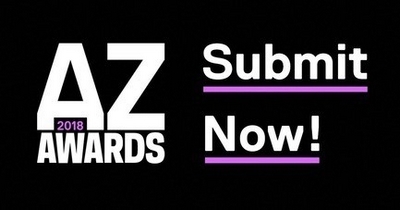 The annual AZ Awards is open for submissions. Now in its eighth edition, the AZ Awards is a unique opportunity for practitioners in the design and architecture community and their client to receive the international exposure and acknowledgement that their exceptional work deserves. Since its debut in 2011 by Toronto-based AZURE, the AZ Awards has grown in size, scope and momentum to be one of the most recognized award programs internationally, acknowledged for its influence and significance within the global design and architecture sphere. Presented by Keilhauer, the eighth edition of the AZ Awards promises to attract entries from some of the most forward-thinking firms from all corners of the globe. The 2017 program received projects from over 800 architects, landscape architects, product designers, interior designers, students and manufacturers from 41 countries. From that outstanding number, the international jury of experts selected 70 finalists, chosen for their innovative design, impressive environmental or social benefits, or for simply evoking delight. The 2018 AZ Awards welcomes submissions until February 20, 2018 . A jury of internationally renowned practitioners in the areas of product design, architecture, landscape architecture and interiors will convene in Toronto shortly thereafter to evaluate the entries. Past jurors have included Nader Tehrani, Nina-Marie Lister, Chris Wilkinson, Philippe Malouin, Anna Simone, Craig Dykers and Brigitte Shim . We will be revealing the 2018 AZ Awards jury soon. The winners will be revealed at the AZ Awards Gala in Toronto on June 22, 2018. The gala has become the event of the season, an exciting evening to see and be seen with members of the industry’s elite. Every year, close to 500 top architects, designers and industry-related professionals come together to meet, mingle and celebrate the finalists and winners. Past finalists have travelled from as far away as South Korea, Austria, Brazil and Japan to join the festivities. Azure and its partners – Keilhauer, Cosentino, Flos, George Brown School of Design, Urban Capital and Alpi – encourage design and architecture professionals, students and manufacturers to submit their work to the AZ Awards for an opportunity to step into the global spotlight, elevate their profile, and raise public awareness for their firm and their clients.